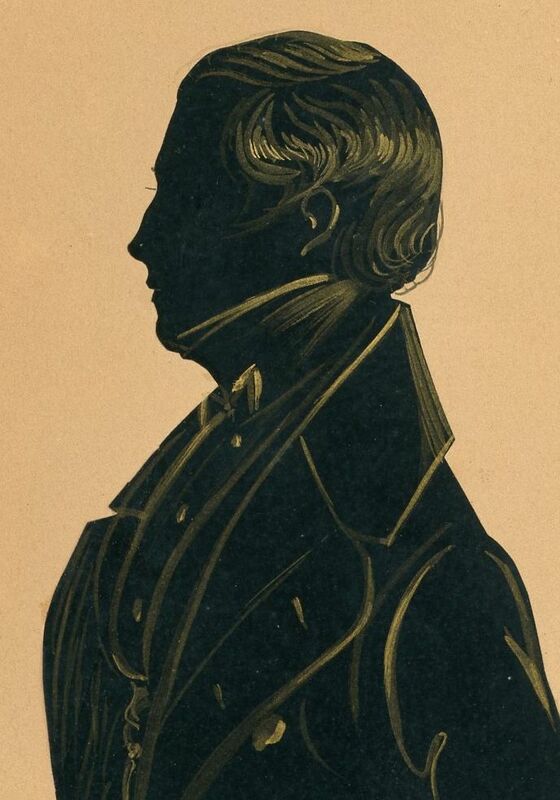 Attributed to the Royal Victoria Gallery on stylistic grounds, this cut and gilded half-length silhouette depicts a gentleman named Henry Hawkes wearing a frock coat, buttoned waistcoat and knotted stock. 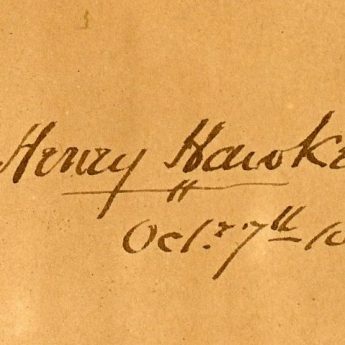 A contemporary inscription on the reverse dates the profile to October 7th, 1837. 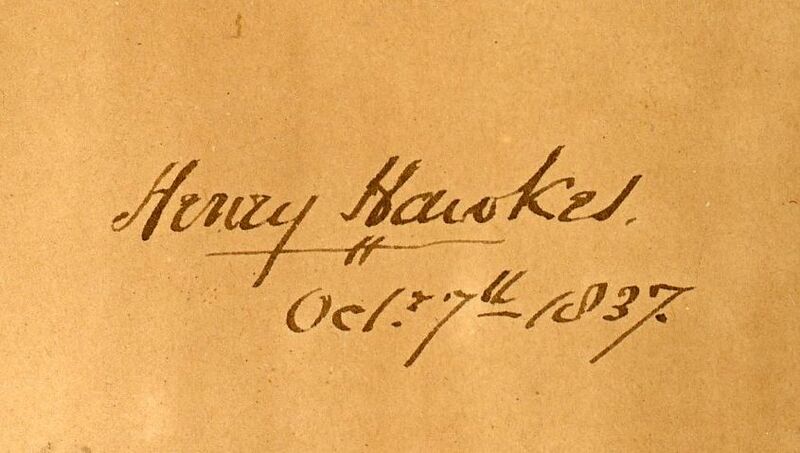 Born in 1805, Henry Hawkes was educated at Glasgow University and was then appointed as a Unitarian minister in Portsmouth where he was greatly respected. 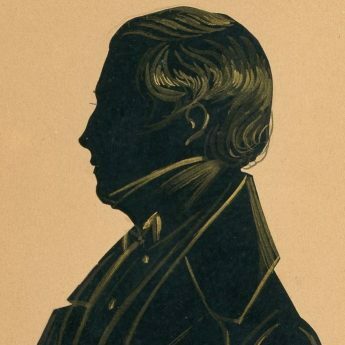 He also wrote a history of the ragged school movement. He retired to Liverpool where he died in 1886. 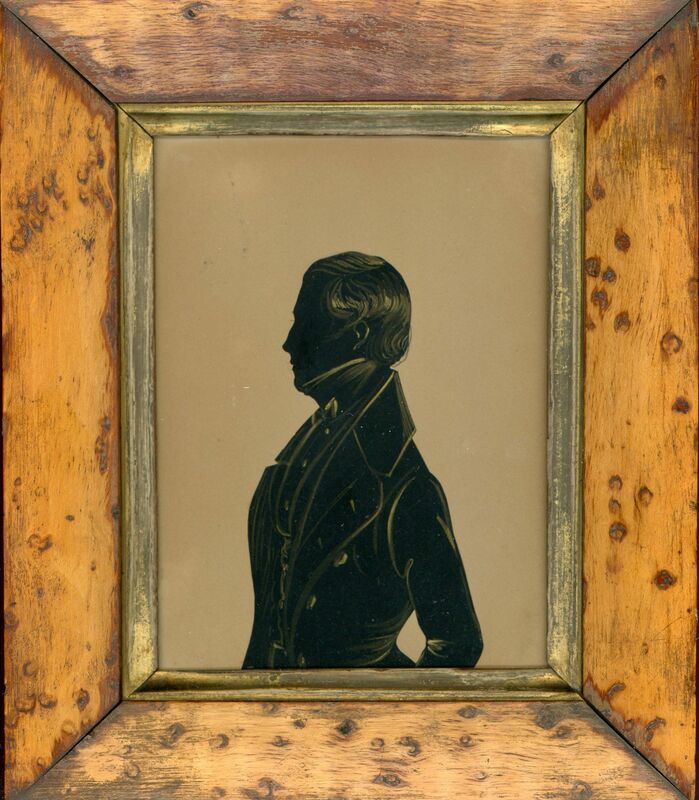 The silhouette is in fine condition and is housed in what appears to be a period faux bird’s eye maple frame with a gilt slip. The glass has a scratch top left.